We are always listening to your feedback and in the past year we have made various improvements to serve you better. The additional cancellation reasons was introduced so it would not affect your Cancellation Rate. Then to further protect you from these negative experiences, we also introduced Cancellation Compensation for “Passenger No-Show” cancellations and late cancellation fee. However, we understand that this has not been enough to reduce the number of cancellations you have experienced while driving. This fee will be added to your Cash Wallet to compensate you for your time on the road. Please note that you are not eligible for any compensation if you do not move towards the passenger, or if you take too long to arrive. *Available in Klang Valley on 25 March 2019 and in other cities on 27 March 2019. 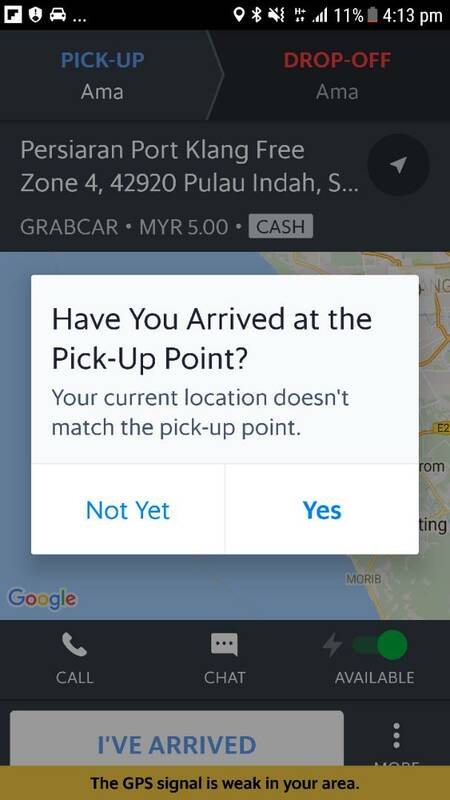 If you tap on ‘I’ve Arrived’ before reaching the pick-up point, you will receive a notification that your current location does not match the pick-up point. To be eligible for cancellation fees, please make sure you press ‘Yes’ in the notification message only when you’re AT the pick-up point. If you see “Passenger’s penalty” on the Payment screen for a cash booking, be sure to collect it! This fee is from your passenger’s previous cash booking. The passenger either cancelled late or didn’t show up for his/her last ride, that’s why you will be collecting this fee on behalf of the previous driver-partner. Grab will deduct this amount from your Credit Wallet after the trip. As a safeguard, jobs with “Passenger’s penalty” will not affect your Driver Rating (DR). This allows you to collect the fee without any worry that it will affect your ratings. What is the Cancellation Compensation fee amount? The fee amount is based on your service type and city. For that information, please refer to your city’s weekly incentive table that is sent every Sunday evening via an in-app notification. For driver-partners in Klang Valley, Penang and Kota Kinabalu, please go here to view the fee amount under “key changes” for your city. What is this “Passenger’s penalty”? This is the fee from your passenger’s previous booking. Do collect it as Grab will deduct this amount from your Credit Wallet after the trip. What happens if I forgot to collect the “Passenger’s penalty” fee? Grab will still deduct this amount from your Credit Wallet. However, do contact Grab’s Customer Support so that we can assist you. 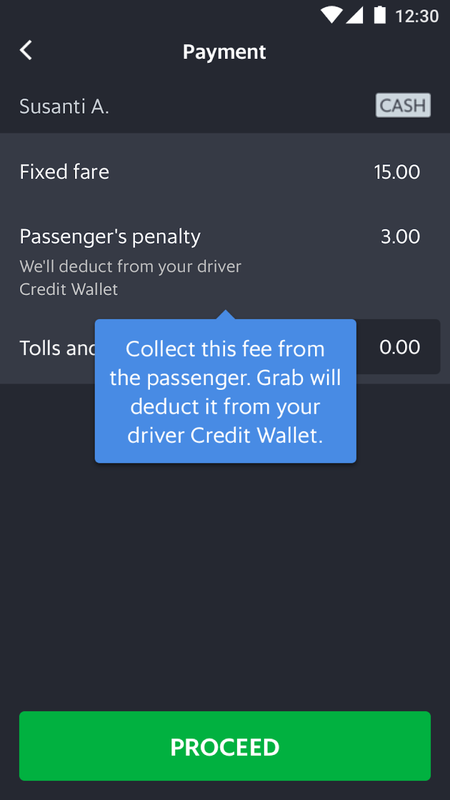 What if the passenger refuses to pay the “Passenger’s penalty” fee? Please avoid confronting the passenger. Report it via Help Centre “My Passenger didn’t pay” after the ride ends so that we can assist. What if the passenger gives me 1 star for collecting the “Passenger’s penalty” fee? 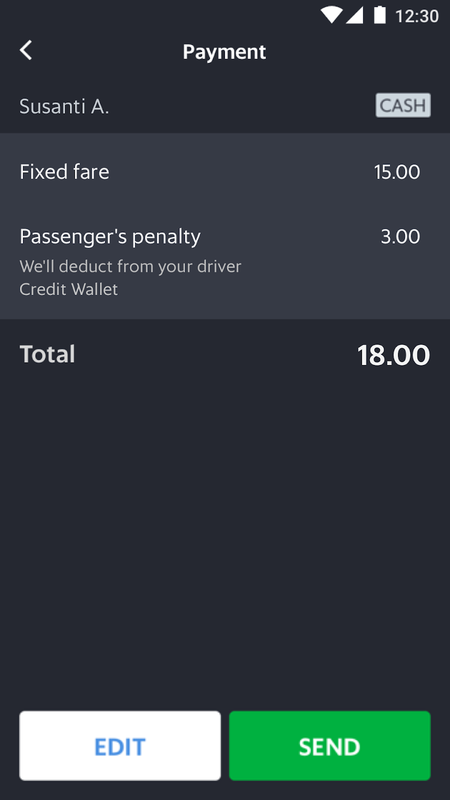 Don’t worry, jobs with “Passenger’s penalty” will not count towards your Driver Rating. The passenger cancelled after 5 minutes but I didn’t receive any compensation. Why? This is likely because you were not travelling towards the passenger, or took too long to arrive. Do ensure that you arrive at the pick-up point on time.